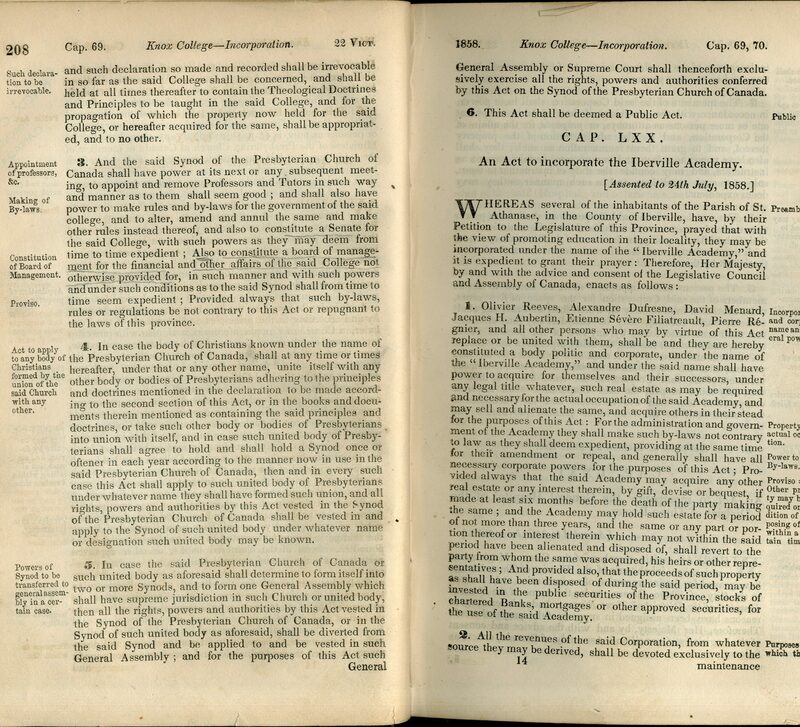 The Presbyterian Church in Canada Archives – Why Create Knox College? 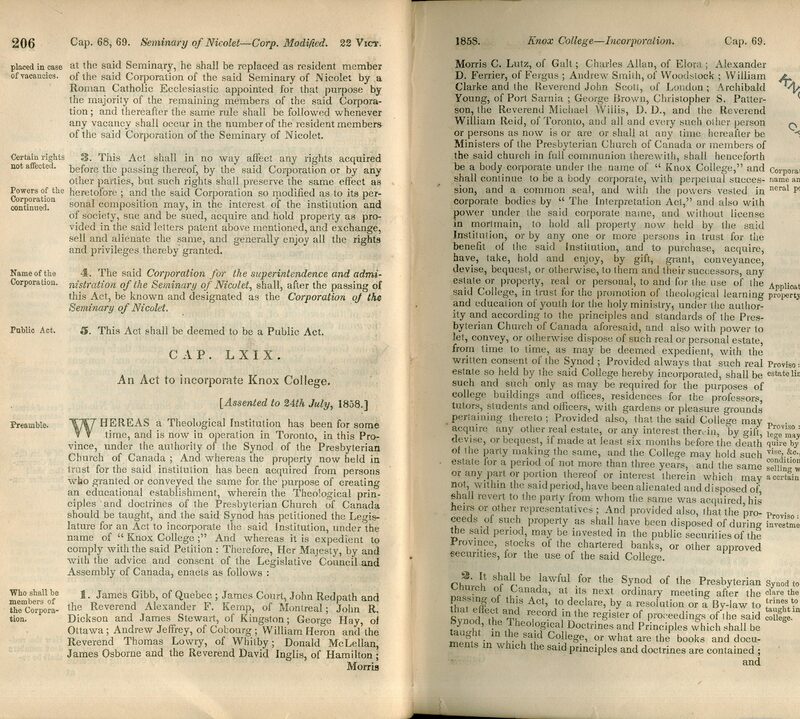 The Constitution of Knox College was created four years after the first class was held. 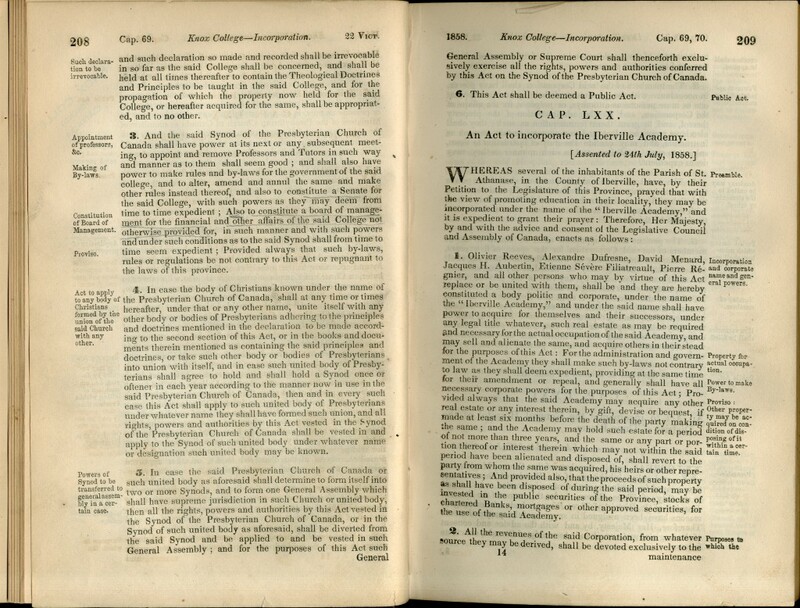 The 1848 Constitution aimed at standardizing Presbyterian theological education in Canada. The goal was to ensure that all who wanted to enter the ministry attained a level of education which demonstrated they were competent in all areas of learning. 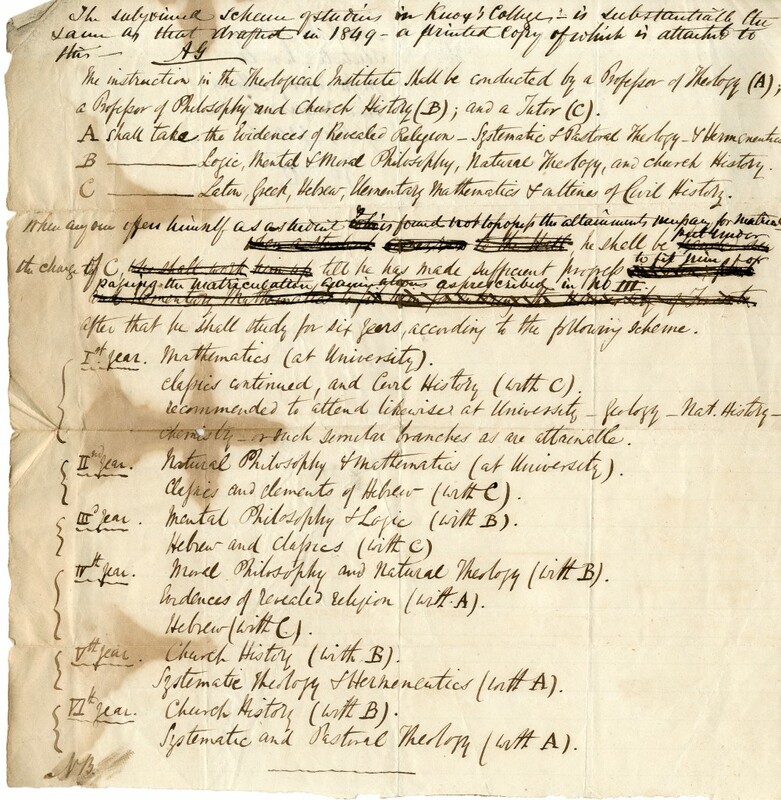 This would include literature, general scientific principals, mathematics, philosophy, and theology, to name a few of the subject areas ministers were expected to be knowledgeable in. It also standardized the exams they had to take. Knox College would be governed by a senate that would uphold the educational standards of the College, by determining the curriculum. The General Assembly, however, would be in charge of deciding faculty appointments based from the recommendations of the Senate of Knox College. The College had to be accountable to the General Assembly. 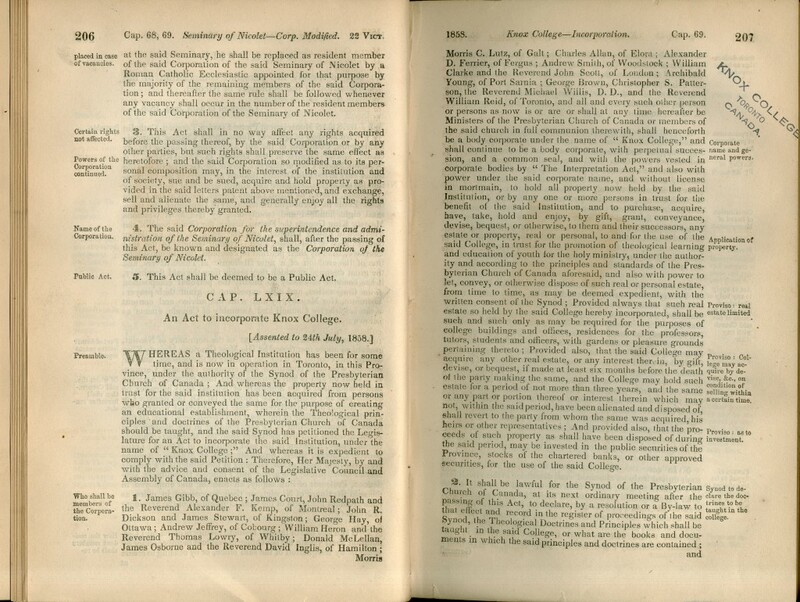 In 1858, the Legislature of Ontario would pass a Bill to incorporate Knox College which made its constitution legally binding.